Research Flight 15 is a ‘wrap’! 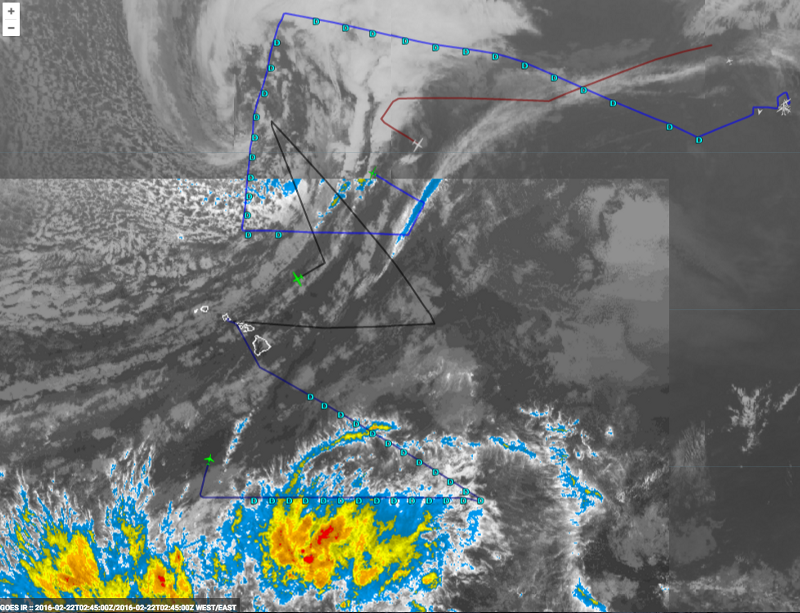 HONOLULU, Hawaii — NOAA49 is on its way back to Honolulu after a textbook research flight to wrap a convective complex (large group of storms) SSE of Hawaii. We acquired thermodynamic and wind data around convection in a region influenced by large-scale divergent outflow from the South Pacific Convergence Zone (SPCZ). The pilots and crew skillfully navigated and hugged convection for over 2000 km with extensive periods where the tail doppler radar painted precipitation. Congratulations to the Gonzo crew and entire team for the phenomenal execution! Two screenshots portray the wrap. Also as part of today’s mission, we released a dropsonde from the G-IV near Kiritimati coordinated with a launch from the island, which should allow for a good intercomparison. Ironically, yesterday the science team opted to defer a decision to deploy to Tahiti in order to study outflow from convective physical processes closer to large-scale convection associated with the SPCZ. Due to the anticipated difficulty of operating from Papeete (the capital of French Polynesia) in marginal meteorological conditions, we’ve tabled this prospect until possibly the last week of the project. With the completion of this successful all-asset mission, the Global Hawk has completed its project. 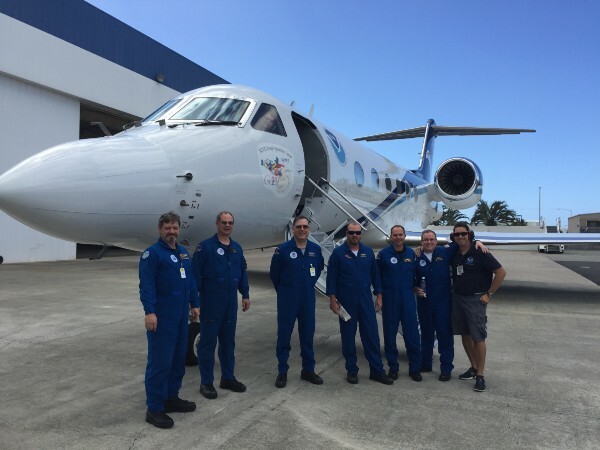 Thanks to a one-week extension, the G-IV will continue operations through 10 March in the deep tropics. The Ronald H. Brown continues with the TAO Survey and balloon launches until the ship goes into port in San Diego on March 18.